Xiaomi Redmi Note 2 Prime expected price in India is ₹9,999. 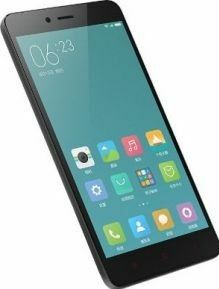 Xiaomi Redmi Note 2 Prime is successor of fairly successful phablet Xiaomi Redmi Note 4G. The Chinese smartphone manufacturer has already launched this phone in China, however, it is yet to officially arrive in India. Here’s our initial impression of Xiaomi Redmi Note 2 Prime - features and specification. Xiaomi has once again did what it does best, which is manufacturing a value for money phone. The Redmi Note 2 Prime is another phone from Xiaomi which justifies its price tag. The affordable phablet has a 5.5-inch Full HD IPS screen with 401ppi. The screen offers good colours and contrast ratio but is not as bright as Mi4i. In terms of under the hood specification, the phone houses an octa-core 2GHz Cortex-A53 Helio X10 SoC. The same chipset is being used in HTC One E9+, Gionee Elife E8 and Sony Xperia M5. Performance of MediaTek's MT6795 Aka Helio X10 is quite decent and affordable, and that is why more and more brands are considering it for their new phones. A PowerVR G6200 (Rogue) GPU delivers good performance even on 3D games test. Phone manage to handle multiple task at a same time with its 2GB of RAM. Even though it’s not the fastest handset, it is good enough to handle the needs of an average mobile user. The Xiaomi Redmi Note 2 features quite a handy back and front snapper. The rear camera carries a 13-mega-pixel sensor with phase detection autofocus. A LED flash is placed just under the camera to illuminate surrounding in dull light condition. The camera performance is better than its predecessor. Images captured by this camera lack sharpness. The grain level is quite manageable. What sets it apart from others in the same category is its MIUI7 OS. Even though the MIUI 7 is based on Android Lollipop 5.1, the UI looks completely different, mind you in a better way. Layout of the home screen is almost a copy of Apple’s iOS. The notification drawer in MIUI is customizable. Xiaomi has added number of animations to make it more appealing for users. It draws all energy from its 3,060 mAh battery which is just average as per the prevailing market standards when it comes to phablet phones. In terms of connectivity option, like previous generation it supports 4G LTE. There is quad-band 3G connectivity with HSPA support, dual-band Wi-Fi a/b/g/n/ac support and Wi-Fi Direct. Xiaomi Note 2 Prime best price in India is expected to be Rs. 9,999. This is best mobile in India in this price segment. This specifications shown in 2015 but it is not come what is the reason behind this phone and last please give me really date when he has been launched in india. In China this phone is available but in india does not available why give me full information about us. Redmi has launched note 3. But reviews are bad. Not charging, battery back up etc etc..... But this seems to be nice phone than note 3. Battery must be atleast 3500. 32gb ROM, Dezining, Camera, Oct cr processer 2.2, totally Looking Good.